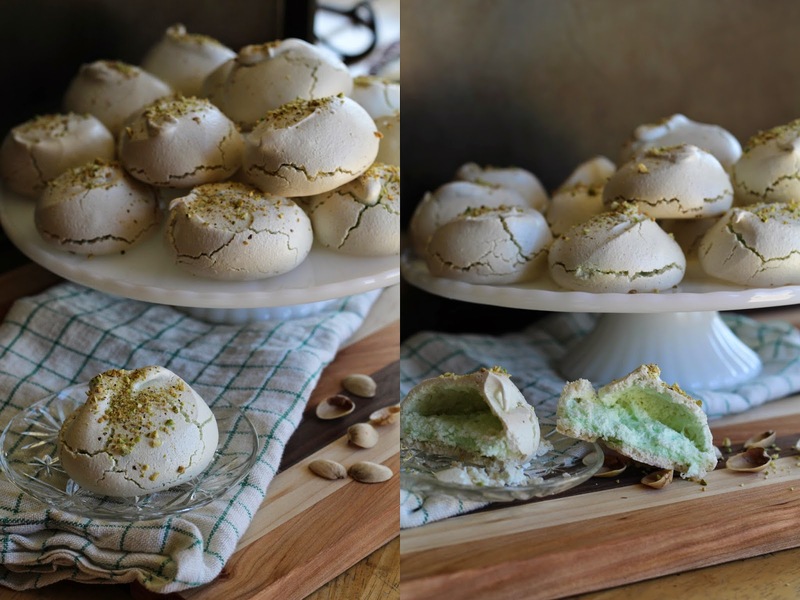 With tomorrow being Saint Patrick's Day I thought I'd whip up a yummy little Green treat. I wouldn't really say that this is an "Irish" dessert but a fun one to make for St. Patrick's day none the less. 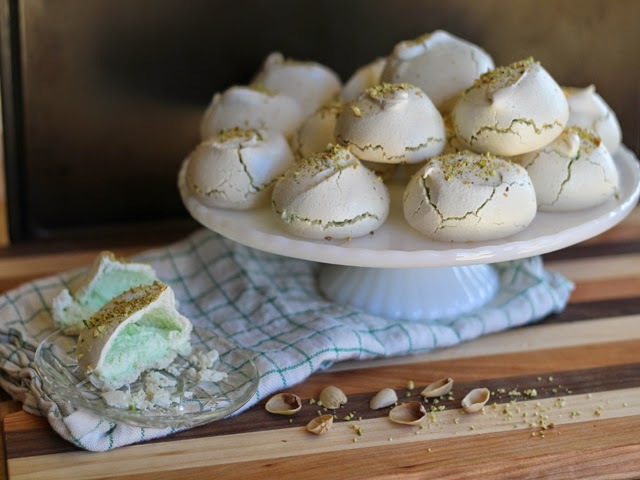 Pistachio in my opinion is one of the best dessert flavors. That is very under appreciated in the states. In my local grocery store you can't even buy Pistachio flavoring, I have to buy it online. 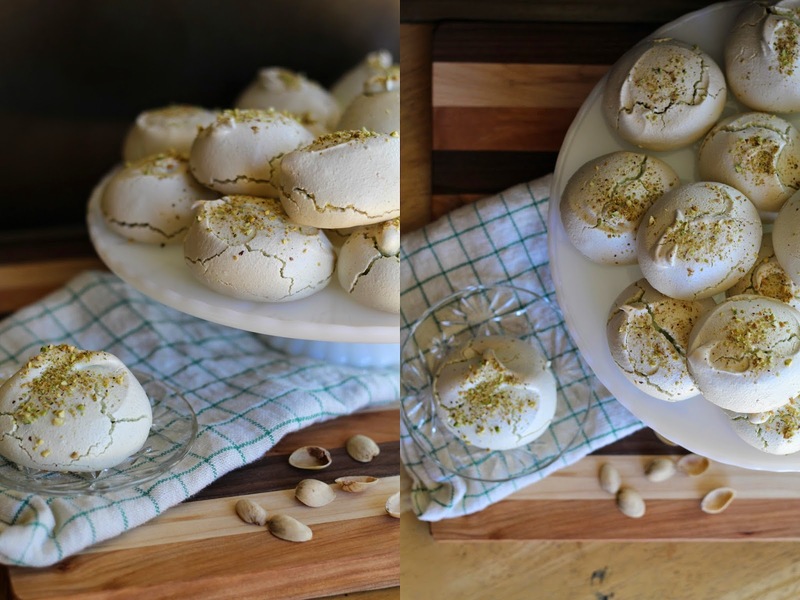 I've recently become a little obsessed with Meringues, They are a very fun and special little treat. They look very fancy but are rather easy to make. And you can make them in an endless variety of flavors. In a stand mixer. Add egg whites, salt, cream of tartar. Mix. Keep mixing for 2-3 minutes. First few minutes will look like you are mixing bubbles. Once soft peaks have slowly began to form start slowly adding in your sugar. Keep mixing and adding in your sugar. After you've added all your sugar continue to mix. Add in your favoring & gel color. Mix for another 2-5 minutes or until you see stiff peaks. I hope you enjoy this recipe and have a wonderful Saint Patrick's Day wherever you live, I know I will. It's always been a favorite holiday of mine. Happy St. Patrick's Day, And may the Luck Of The Irish be with you!